In the ninth instalment of the series, C.S. Forester transports us to the quaint village of Smallbridge. Predictably restless and eager to embark on his next adventure, Horatio Hornblower dreams of returning to the seas and commanding his next ship. Now happily married to Lady Barbara Leighton and widely celebrated for his recent successes with the navy, Hornblower has been knighted and appointed a commodore. Fortunately for Horatio, his uneventful days as village squire are soon interrupted when he is sent word from the Admiralty. 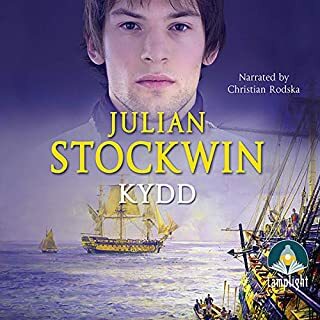 Ordered to embark upon a diplomatic and military mission to protect Britain's Baltic interests, Horatio is quick to choose a squadron and leave his small village life behind. Fighting against the savage Baltic weather, Hornblower must impede Napoleon from conquering Sweden and Russia and, as always, ensure that no French privateer can prevent him from achieving his goals. Hailed by the likes of Ernest Hemingway and Sir Winston Churchill for being 'admirable and vastly entertaining,' C.S. Forester became a hugely influential 20th-century author. Born in Cairo, raised in London and buried in California, the metropolitan writer experienced huge success with his Horatio Hornblower series as well as with his later works, The African Queen and The Good Shepherd. His literary genius is perfectly encapsulated within this endlessly entertaining narrative, and his heroic protagonist draws us in to another titillating journey through the Napoleonic wars. Christian Rodska is an English television and voice actor best known for his role in the 1970s series Follyfoot. From the The Monuments Men and The Eagle of the Ninth to The Likely Lads, Z Cars, The Tomorrow People, Coronation Street, Bergerac and Casualty, his extensive and diverse acting career has led him to become a highly solicited radio and audiobook narrator. 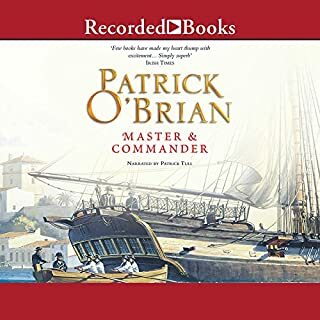 He has now voiced over 150 unabridged audiobooks including Winston Churchill's biographies, Evelyn Waugh's Men at Arms and Sebastian Faulks' A Possible Life. He has been praised for his ability to vary in vocal pace and style, and as such, Christian boasts 12 Earphone Awards from Audiofile Magazine. ©1945 C.S. 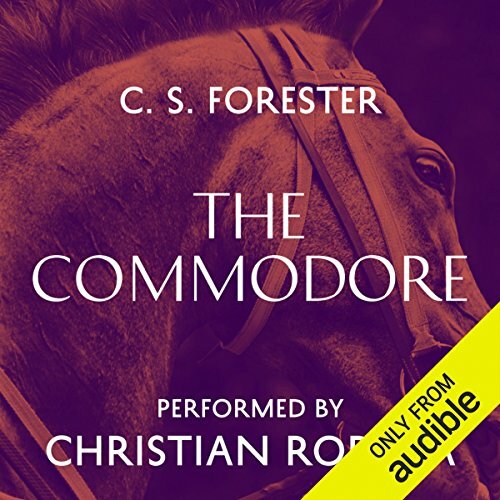 Forester (P)2014 Audible, Inc.
Christian Rodska does a fine job speaking this book but the last chapter is missing. Christian Rodska narrates all the Hornblower books he's done brilliantly. This story is pretty good, although the section where Hornblower is in France seemed a bit stretched out. One reviewer says the last chapter is missing. Certainly the book ends very abruptly. Ripping Yarns, all of them! Narrated superbly, you can just about hear the wind in the rigging. It is well worth listening to them in chronological order - start at the very beginning, with Mr Midshipman Hornblower. You won't regret it - I find the series totally addictive. 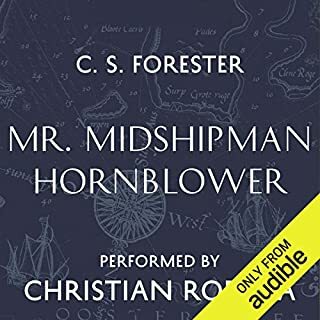 I love all of the Hornblower books, and this one had an accomplished performance. However, as noted by reviewer Kathryn below, the last chapter is missing. After I saw Kathryn's comment, I confirmed it by checking the printed book in the library. I don't understand why Audible doesn't correct or explain this. It's still worth listening to, but find a printed copy and spend an extra 5 minutes to finish the story. The last chapter is NOT missing! Don't believe the other reviewers who talk about the last chapter being missing. I bought this audiobook in March 2015 and all the chapters are present. The last words in both the audiobook and the printed edition is at the end of chapter XXIII: "What the devil was Brown doing, staring at him like this?" Perhaps the last chapter was missing in a previous edition of this audiobook. If so, the problem has since been corrected. I almost didn't buy the book based on their comments. Christian Rodska does an outstanding job narrating this series. This is book 9 in the series. Hornblower is now a Commodore and sent off in command of the Baltic fleet. All the other books have taken place in the mediterranean so this is a nice change of place. Napoleon has taken, Denmark, Norway, German. During the story he attack Sweden and Russia as well as Latvia. The battle is the book is the battle of Riga. This book is so different with the Swedish, and Finish (taken by Russia) politics and the scenes from St Petersburg and Hornblower meeting the Czar. C.S. Forester writes a great story and provides a great deal of history with his story. If you love the Napoleon era sea story you will enjoy this story. We used this book on a long routine road trip and it made the miles pass faster. The voice and accent of the narrator was enjoyable. The writing is interesting and has many surprises in the use of words. The inner thoughts of the Commodore as he navigates through a new rank and new battles holds interest. This audio book had the ability to make me laugh out loud in places. It was interesting in its insights into battle plans and use of the ship's weapons. The writing isn't gory and bloody like lots of adventure sagas. It employs action with an easy sense of being there. 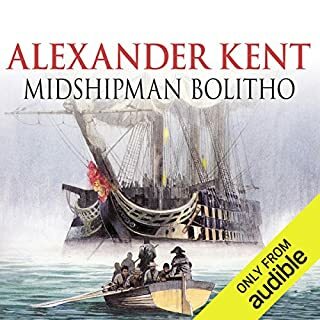 This is a very enjoyable audio book in every respect. This installment of the saga shows our hero turning from the dull life of a country squire and back into the fight against Napoleon, this time in the far reaches of the Baltic, and there isn't a dull moment. With an increase in rank he finds himself adjusting to the pomp his new title bestows, something new to this man inclined to action rather than appearance, and still he gets in the thick of battle dep enough to have done himself a bad turn by the very end. His hallmark navel ingenuity comes through on more than one occasion, along with the glimpses into his humane and decent spirit in the manner we have come to cherish. The renegade Prussian general Carl von Clausewitz puts in an appearance working for the imperial Russian army, as does the Tsar, briefly, along with a number of well-drawn junior officers and military enlistees. Forester manages to spring a number of surprises for us along the way to keep things interesting and ends the whole thing on quite a cliffhanger. 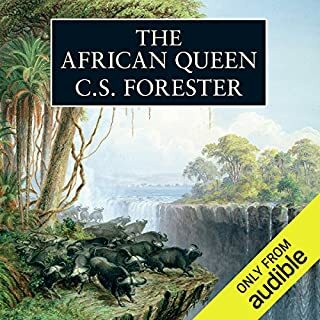 The audio book narration by Christian Rodska adds something to the tale though a couple of the accents were a little tough to make out the first time. 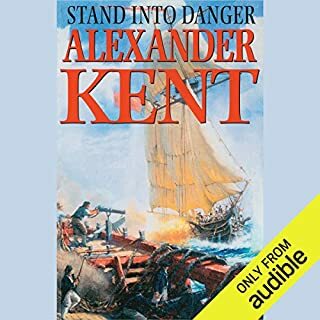 This is the kind of adventure story that makes the hours fly especially if one is fond of the details of the way square-rigged warships worked. There was a problem with this book or the download. There was at least one chapter missing. Love these books, read them years ago and find them still great. But the ending is. Not.the same as is my old battered paper book, without it don't buy. Once again Christian Rodska does an amazing job of bringing the characters to life and reading the story very well. I am also glad to report that the "missing chapter 23" has been fixed and the story is complete. I'm looking forward to the next book in the series, and have enjoyed the series immensely thus far. Luckily the last chapter is more an epilogue than the climax of the book, but even so to be missing the last chapter is a pretty disappointing error in an audio book. Glad to have the best narrator back. A cracking story as told by a great writer and story teller. The loose political alliance that Napoleon cobble together starts to fall apart around him. Christan Rodska narrates magnificently.